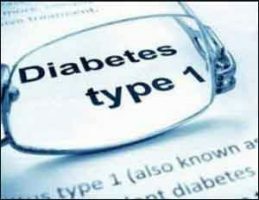 Urological complications are prevalent and occur in about two-thirds of patients with long-duration type 1 diabetes (T1D), suggests a new study published in the journal Diabetes Care. Type 1 diabetes has been associated with high rates of urinary and sexual problems, but the cumulative burden and overlap of these complications are unknown. Hunter Wessells, Department of Urology and Diabetes Research Center, University of Washington, Seattle, and colleagues conducted the study to determine the prevalence of urological complications in persons with type 1 diabetes , associations with clinical and diabetes-related factors, and rates of emergence, persistence, and remission. This ancillary study to the Epidemiology of Diabetes Interventions and Complications (EDIC) study — the observational follow-up to the landmark Diabetes Control and Complications Trial (DCCT) — was conducted in 2003 and 2010/2011. The DCCT, which proved the benefits of tight glycemic control in reducing microvascular complications in type 1 diabetes , ended early in 1993 after a mean follow-up of 6.5 years. In 1994, 96% of the original 1441 participants transitioned into EDIC, at which point they had a mean age of 33.6 years and mean diabetes duration of 12.2 years. All were invited to participate in the ancillary Urologic EDIC (UroEDIC) study, which involved a series of well-validated self-administered urologic symptom questionnaires. A total of 508 women and 551 men completed the surveys at two-time points: UroEDIC I in 2003 and UroEDIC II in 2010-2011. Of sexually active women completing the 2010/2011 survey, 35% reported no complications, 39% had one, 19% two, 5% three, and 2% four. In men, 31% had no complications, 36% had one, 22% two, 9% three, and 3% four. Sexual dysfunction was most prevalent (42% women and 45% men) followed by UI in women (31%) and low sexual desire in men (40%). Urological complications were associated with age, BMI, and HbA1c. Remission rates ranged from 4 to 12% over the 7-year interval between surveys. Higher hemoglobin A1c levels were associated with increased risk for urologic complications in both women and men. For women, the risk for lower urinary tract symptoms among those in the highest hemoglobin A1c quartile (>8.54%) was over twice as high as among those in the lowest quartile (≤7.38%). For the men, those in higher HbA1c quartiles had higher odds for both erectile dysfunction and orgasmic dysfunction. Body mass index of 30 kg/m2 or higher was associated with a greater risk for urinary incontinence in women but not with urologic complications among the men. Diabetic neuropathic and microvascular complications were also associated with urologic complications in both men and women. “Urological complications are prevalent and frequently co-occur in persons with type 1 diabetes. Remission rates in a minority subset indicate a rationale for future studies to mitigate the onset or impact of urological complications of type 1 diabetes ,” concluded the authors.